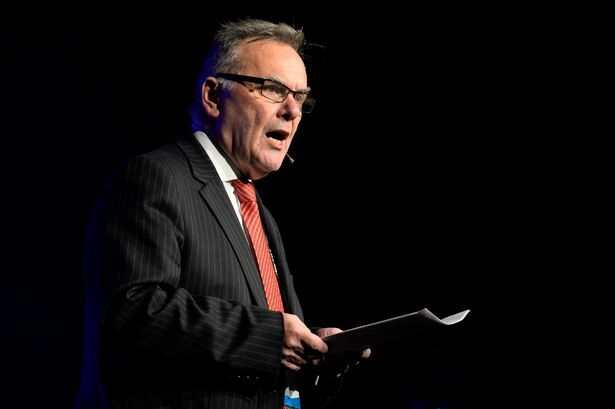 City council leader Sir Albert Bore has said Birmingham is open for business and wants to build on its established links with China over the next few years. Speaking at a conference in Brussels, the Labour leader highlighted three formal sister city relationships Birmingham has with China - with Changchun which began in 1983, Nanjing and Guangzhou - and promised to further develop them. He addressed an audience which included EU President Jean-Claude Juncker and Chinese Premier Li Keqiang during the EU-China Urbanisation Partnership Forum 2015. Sir Albert said that, while Birmingham&apos;s links with Chinese cities were based on investment opportunities, they have been kept going through municipal and academic exchanges. He said: "Amongst a number of examples I could provide, the flagship exchange programme is the one with Guangzhou where, for eight years now, Birmingham has hosted between 20 to 40 Chinese civil servants who each year spend four weeks in our city sharing their time between an academic programme provided by the University of Birmingham and practical placements in relevant Birmingham City Council municipal departments. "The fact this has be running now for eight years I suspect is evidence of how beneficial our partners in Guangzhou value this exchange." Sir Albert also referenced work carried out by the city council and its partners to develop strong relationships with the likes of Changan Motors and the Shanghai Automotive Industry Corporation. "I would also highlight that there is an exciting future ahead with regards to growth and investment potential in Birmingham," he added. "We have spent a very successful 25 years restructuring our local economy and diversifying our economic potential as a city. We are no longer reliant on the automotive sector although it remains a key strength. "Our future plans include Birmingham being home to the new High Speed 2 base and college and will be an important new hub that with connect Birmingham to London in just 40 minutes. "We have a thriving tech sector and are developing a new environmental district and new life sciences campus. "Whilst our record and history of working with China is a good one, looking forward, there is a huge sense of excitement and recognition that Birmingham is becoming the UK&apos;s number one investment location." He concluded: "My message to you all is that Birmingham is the best placed UK city to do this and is open for business." The EU-China partnership was established in 2012 to promote exchanges and co-operation on a wide range of sustainable urban development initiatives given the fact that Chinese urbanisation had crossed the highly-symbolic 50 per cent threshold during the previous year.